New York's stop and frisk policy is unconstitutional, a federal judge ruled on Monday, because it unfairly targets some groups, particularly minorities. Yahoo News asked NYC residents and others in large cities for their reactions and recommendations on how the police can better serve and protect their cities. Here are excerpts from some responses we received on Tuesday. Humanize NYPD’s strategy: To curb street-level crime, the NYPD needs to be utilized as a traditional policing agency rather than the paramilitary force it has become. Instead of increased surveillance and frisking checkpoints, we need officers walking foot beats, familiarizing themselves firsthand with the neighborhood people whom they watch over. Such humanizing tactics will vastly improve relations and cooperation between police and citizens, while genuinely adding to the safety of our neighborhoods. — Alexander Eliot is a 26-year-old resident of Brooklyn. Ruling is misguided: One finds that argument that stop and frisk tactics discriminates against minorities to be unconvincing. Crime occurs heaviest in minority neighborhoods, hence it stands to reason that minorities will be more likely to be stopped and frisked. So long as the reasonable suspicion standard is met, there should not be a problem. Indeed, other cities, my own of Houston for example, a city which has its own violent crime problem, ought to consider instating similar policies to tamp down on crime. There has to be a balance between safety and civil liberties. Not getting murdered or raped is a civil right. Living at ‘ground zero’ of stop and frisk: I am a 46-year-old black American who resides in Bedford-Stuyvesant in Brooklyn, which is essentially ground zero for the NYPD's illegal stop and frisk program. As a teenager, I recall standing in front of my sister's house with two of my friends when an un-marked vehicle pulled up on us. Two officers got out of the vehicle and forced us all to lie down on the cold concrete and spread our arms and legs. We were searched and humiliated. After the search was over, the officers claimed that someone called and claimed that they saw teenagers in the area brandishing a firearm. My 15-year-old son was also illegally stopped and frisked. My son was doing nothing wrong. Judge Shira Scheindlin was right to request changes in the practice. The NYPD should be allowed to stop and frisk suspicious people, but not innocent people based on their ethnicity. Why not frisk the Upper East Side? : Public safety alone isn't sufficient reason to run roughshod over the rights of citizens. Police cannot suspend the constitution to calm the fears of the powerful. Had the policy been enacted without regard to economic status or skin color, it would have ended within a week. Wealth and privilege are no guarantee of anything. 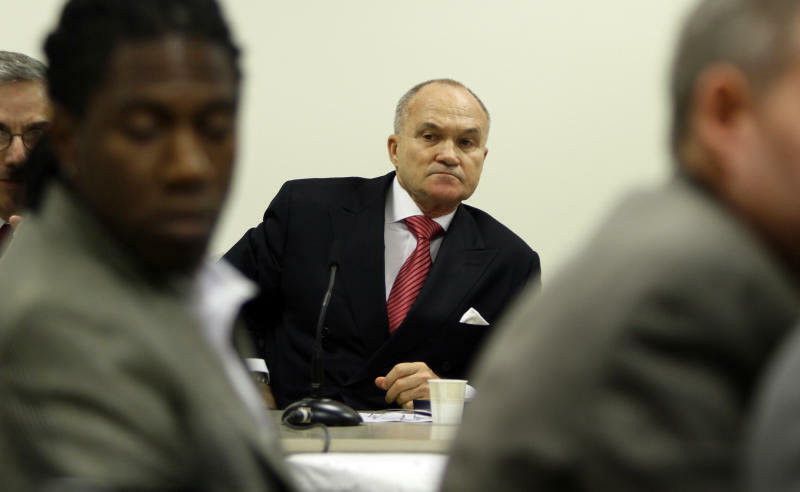 Many well-off citizens have used drugs, stolen from others and even murdered, yet no one is demanding that stop and frisk be extended to the mayor's own backyard, the Upper East Side of Manhattan, whose streets have housed the accused and the guilty as well. The NYPD's own statistics verify that the vast majority of those stopped are not armed. It's time these travesties were stopped. — Mary Finn, 53, is a lifelong Queens resident. A right to live in a ‘crime-free’ environment: The police should be able to perform their duties without fear of a lawsuit or accusations of racial profiling. Regardless of a person's ethnicity or skin tone, if the police reasonably suspect criminal wrongdoing, they should be able to stop and search that person. After all, if a person doesn't have anything to hide, being frisked by a police officer is only a minor inconvenience. Judge Scheindlin's decision that the New York City Police Department's stop and frisk practices violated citizens' Fourth Amendment rights against unreasonable search and seizure should be rethought. Once the "race card" is taken out of play, it all boils down to protecting the rights of a "few" against the rights of all to live in a crime-free environment. — Darcy Chappel lives in Reno, Nev.
NYPD should be a little more creative: Personally, I don't think this policy offered much to stop crime more than it caused citizens to look down upon the NYPD. As a student, I would like other options explored. So, what would make us safer? More police on the streets, as well as more obvious signs of surveillance. That would act as a deterrent. Police should be better-equipped and trained to handle emergencies. Certain darker areas in the city should have more street lights so that when night falls, criminals would avoid brightly lit locations. — Sam Lum, 18, lives in the Lower East Side of Manhattan. Flirting with stop and frisk in San Francisco: Stop and frisk is a civil rights disaster. City officials claim the controversial practice is meant to keep guns off New York City streets. But in 2011, only 1 out of every 650 such stops resulted in a firearms arrest. In fact, of the 532,911 stops made in 2012, 89 percent of the suspects were totally innocent of any wrongdoing. 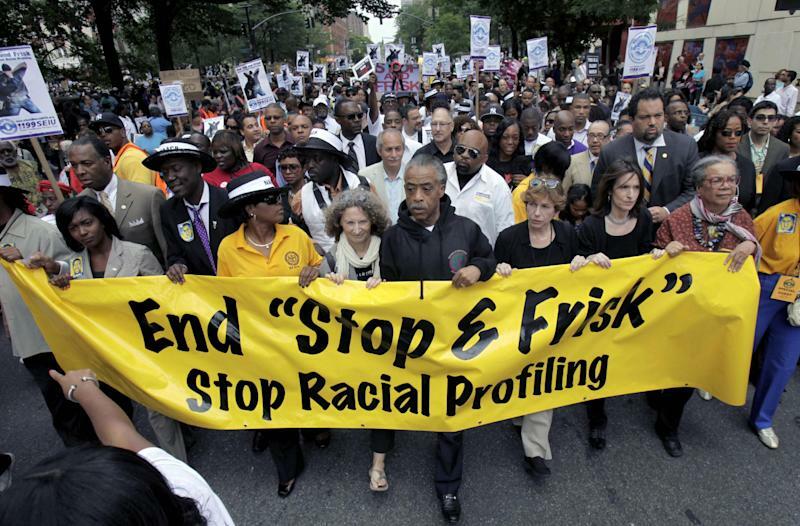 Furthermore, stop and frisk smacks of racial profiling; according to ACLU statistics, 87 percent of those stopped under the program were black or Hispanic. Here in San Francisco, the powers that be briefly flirted with the idea of implementing stop and frisk in the nation's most progressive first-tier city. Thankfully, public outcry led to the plan's rejection. But across the Bay Bridge in Oakland, Bratton is peddling his “supercop” pedigree and his discriminatory policing tactics. — Brett Wilkins lives in San Francisco. If you’re going to stop and frisk, put in some effort: I live in Battery Park in Lower Manhattan, and there are cops around here all the time. I have been given the shakedown by cops before, and it's totally pointless. I have actually been "frisked," and that is an exercise in futility. More often it's been that I am in a subway terminal, and I am randomly stopped and the cops "ask me" if they can search my bag. Being the good citizen with nothing to hide, I, of course, say, "Of course." But it's the complete ineptitude about which the police go through this search. They don't investigate my bag; they don't open all my pockets. I could have explosives; I don't, but how do they know that? Police need to do far more incisive work than frisking strangers or haphazardly searching bags. Crack down on cell phone crime first: You don't stop crime by stopping someone going to Starbucks. You do stop crime by immobilizing stolen cell phones. According to San Francisco District Attorney George Gascón, 50 percent of the city's 2012 crime was connected to cell phone theft, up 36 percent over the year previous. Gascón added, "Unlike other types of crimes, smartphone theft can be eradicated with a simple technological solution." According to VentureBeat, District of Columbia police Chief Cathy Lanier told the New York Times, "The carriers are not innocent in this whole game. They are making profit off this." Britain and Australia solved the stolen mobile phone immobilization 10 years ago. Let's get this done, USA. — Laurie JM Farr is a San Francisco resident who spent 10 years in Manhattan working for the New York Convention & Visitors Bureau. Time to stand on principle: I have never been frisked, and considering the fact that I live in a middle-income neighborhood, I would be safe from the Gestapo in Bloombergland. 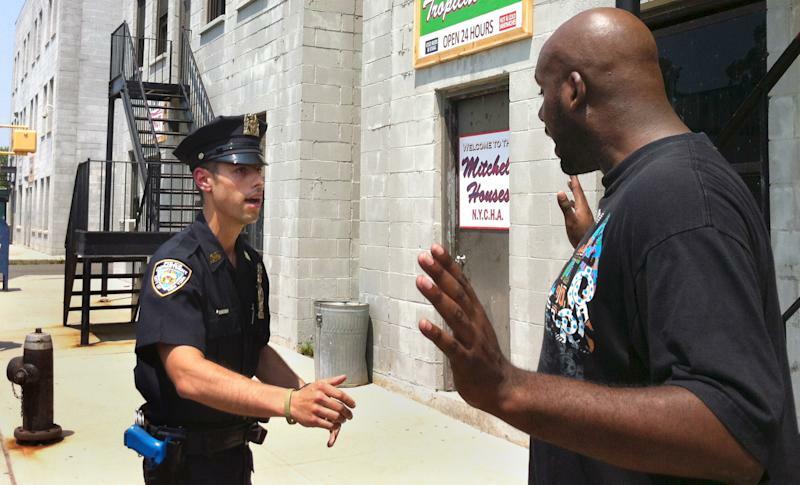 (Apparently, the stop and frisk measure targeted low-income neighborhoods.) Although stop and frisk would not directly infringe upon the rights of every American, no one should be comfortable with such a measure existing. Catching 10 percent more criminals is not worth violating the rights of the other 90 percent of "suspicious" persons who were accosted in the streets of their own neighborhood. Catching 80 percent more criminals would not be worth violating the rights of law-abiding citizens. There has to be a point when we stand on principle and affirm to our leaders that just laws exist, and the whims of men like Michael Bloomberg are not the standard by which laws are deemed just. — Jack Camwell lives in central Ohio. Results should never trump equality: Having served in combat numerous times, freedom and equality are sacred to me. Policies such as stop and frisk exist in the gray area between right and wrong. Regardless of the results these policies may deliver, it is our duty as Americans to demand our laws are unbiased. Crime in any society is difficult to control. Our elected officials and law enforcement personnel have challenging jobs. They need the proper tools and policies in place to be effective. No tool or policy, however, can cast aside fair treatment for everyone. Equality for all under the law is nonnegotiable. — David Daly lives in Los Angeles.